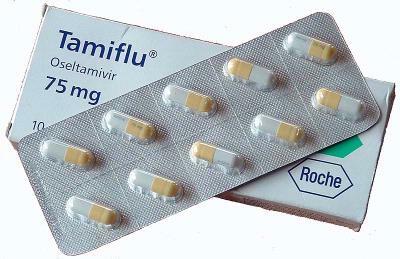 Many Snohomish County Pharmacy's out of TamiFLU found in recent phone survey. A quick survey of several pharmacy's in and around the City of Snohomish, finds that they are all out of the treasured TamiFLU anti-viral medicine. Washington State has said it has stock piled the drug and has more coming. The AP reported that the government said the first shipments of the drug Tamiflu from the federal stockpile arrived in New York state, New York City and Indiana Wednesday morning, and all states will get their share by Sunday. With several schools closing and parents beginning to keep their children home, residents wonder why not just close schools for a week now? What's the big deal if it helps control the spread of the virus? And if it doesn't then why close any at all? A pharmacist at the Seattle Hill Bartell Drug told a patron who had a prescription for TamiFLU in hand, that if he could find a pharmacy with it he would gladly send it over for him, "GOOD LUCK" he said. From the CDC: In response to an intensifying outbreak in the United States and internationally caused by a new influenza virus of swine origin, the World Health Organization raised the worldwide pandemic alert level to Phase 5 on April 29, 2009. A Phase 5 alert is a "strong signal that a pandemic is imminent and that the time to finalize the organization, communication, and implementation of the planned mitigation measures is short." The United States Government has declared a public health emergency in the United States. CDC's response goals are to reduce transmission and illness severity, and provide information to help health care providers, public health officials and the public address the challenges posed by this emergency. CDC is issuing and updating interim guidance daily in response to the rapidly evolving situation. CDC's Division of the Strategic National Stockpile (SNS) continues to send antiviral drugs, personal protective equipment, and respiratory protection devices to all 50 states and U.S. territories to help them respond to the outbreak. The swine influenza A (H1N1) virus is susceptible to the prescription antiviral drugs oseltamivir and zanamivir. In addition, the Federal Government and manufacturers have begun the process of developing a vaccine against this new virus.